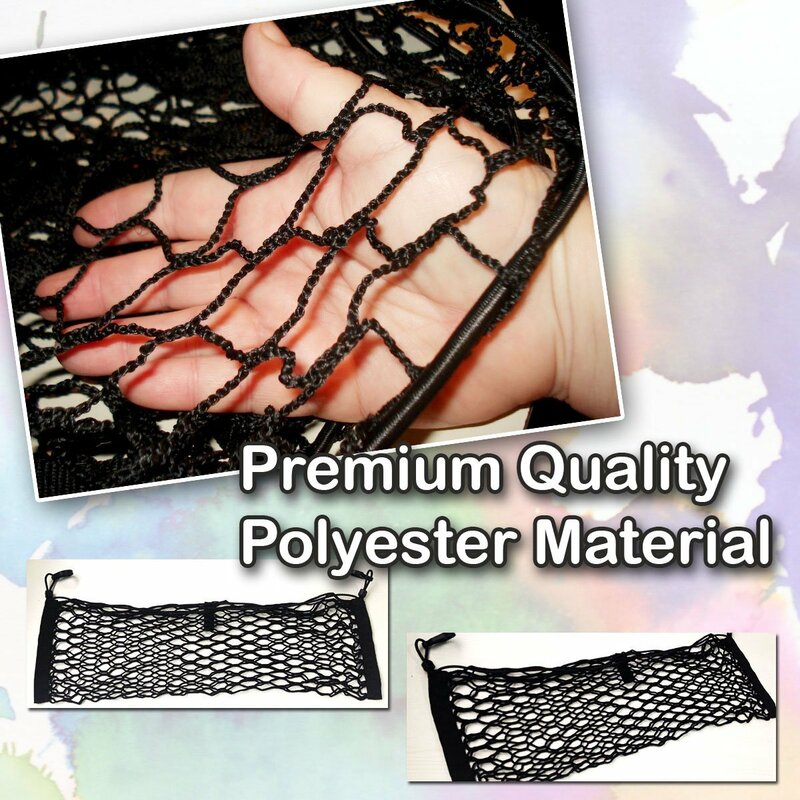 You will surely come to Love the Zone Tech Large Pocket Mesh Storage Net. You can Fit 3 grocery bags across perfectly without worrying about them falling over in the back of your car. The Zone Tech organizer keeps your trunk and storage area Organized and Clutter Free. The storage net Holds everything in place where you put it. The Zone tech storage net features large pockets which Help to organize or store groceries, gear, tools and other items. The Zone Tech storage net has 3 Mounting Options to suit your preferred Style and Convenience; hooks, screws, and rubber adhesive. The Zone Tech storage net is made from High Quality polyester material to ensure Durability and Longevity. The Zone Tech storage net is designed to Safely Secure cargo in car, van or SUV's. The Zone Tech storage net can Adjust to fit most trunks, pickup truck beds or SUV rear cargo space and can be adjusted from 44 inch to 56 inch in width, with a 12 inch depth and 12 inch height.